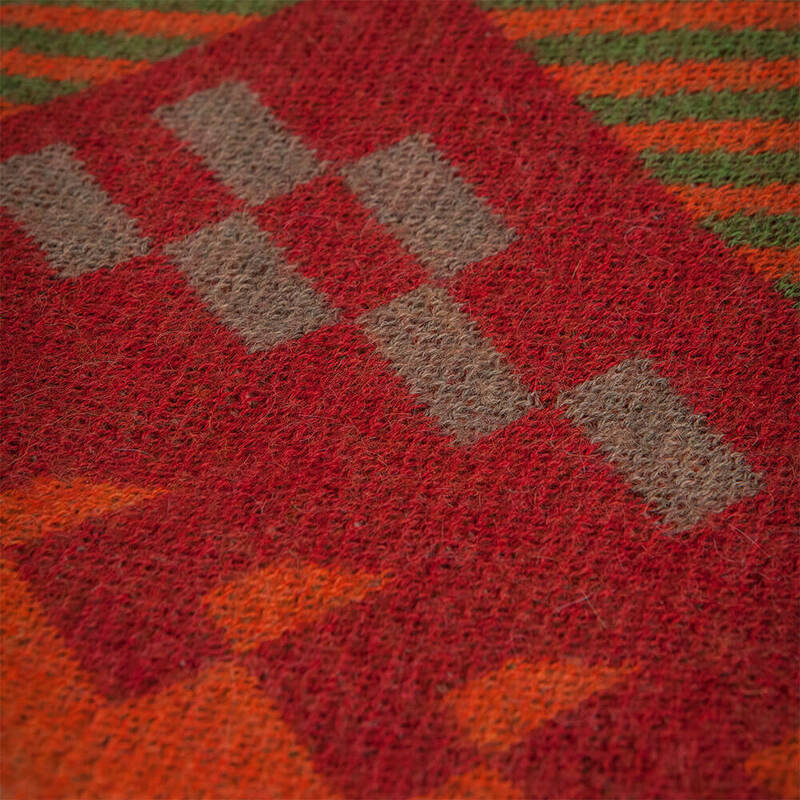 This knitted ethnic pattern square throw from Sol Alpaca is handwoven from 100% alpaca fiber. 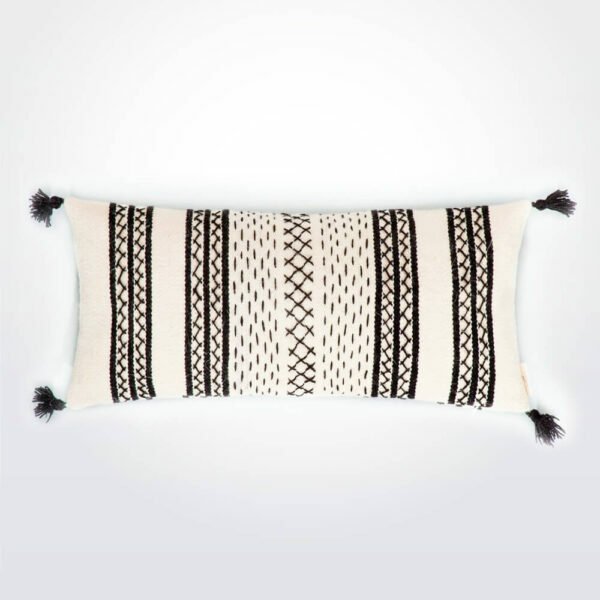 Spun on a traditional Andean hand loom, modeled on a design imported by the Spanish when they first arrived in Peru. 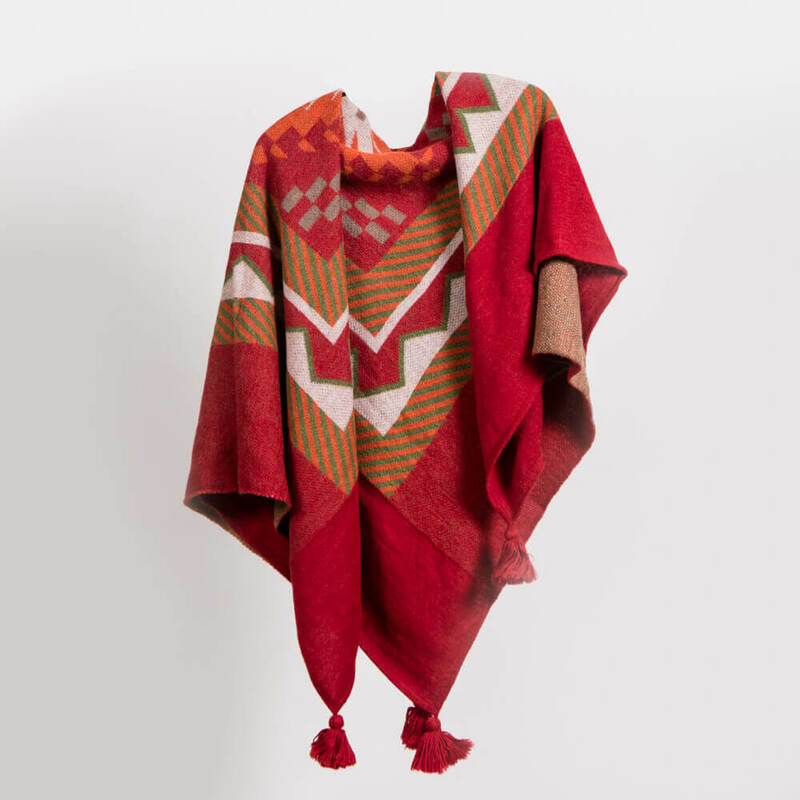 The hand loom is just a recent iteration in what is a long line of weaving techniques practiced in the Andes, and contemporary weavers being the bearers of this rich and varied heritage.